In the first half of 2018, two of the top 10 deals broke the billion dollar barrier – with the USD 6.8 billion acquisition by International Flavors & Fragrances Inc (USA) of Frutarom Industries Ltd from ICC Industries Inc (USA) topping the charts. In 2nd place, at less than half the value, came KLA-Tencor’s acquisition of Orbotech. 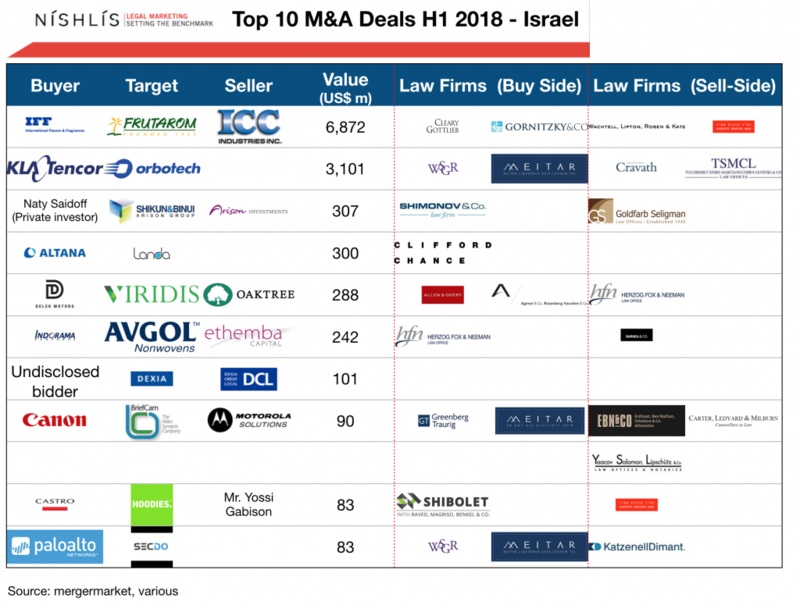 The competitiveness of the Israeli market was confirmed by the report as each of the top four deals contained different Israeli counsel.